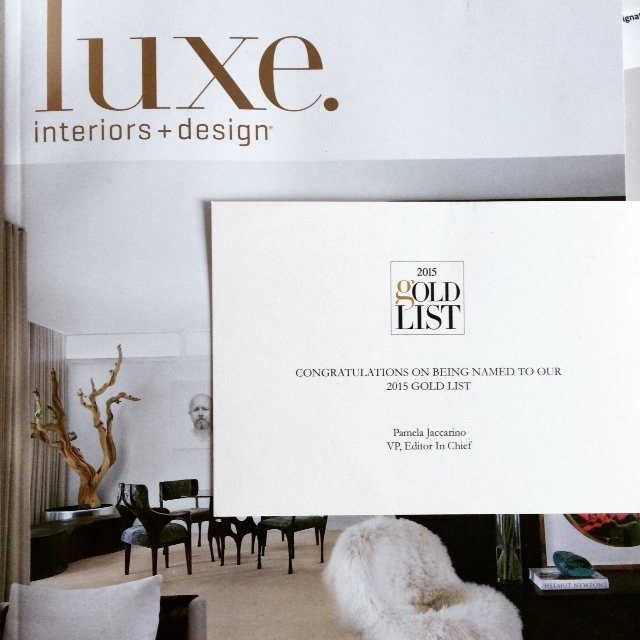 Congratulations to Lori Dennis Inc for being named to the 2015 Gold List. The LUXE Interiors + Design is a guide to select, top and the most prominent interior designers, home builders , landscape architects and architects in the world. Our interior design partner was named one of the top interior design firms in the world 2015 and secured a spot on the Gold List. We’re thrilled to be building for the firm.